To the surprise of no one, Ani-TAY’s Muv-Luv correspondents gather to discuss the series. 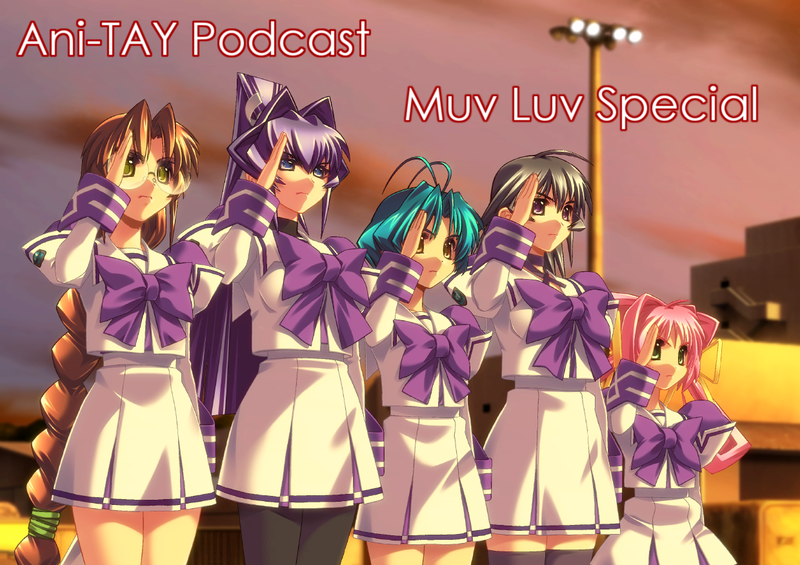 In this first episode, Dex, Exile, Kinksy, Krakken_Unleashed, and Messiah discuss the series, how we found it, and what made Muv-Luv special to us. Disclosure, this episode was recorded prior to the Kickstarter launch, which you should totally go back here. You can even get a Vita copy of the trilogy for $60 now. Want to see the last episode of the normal Ani-TAY Podcast? We’ve got you covered.